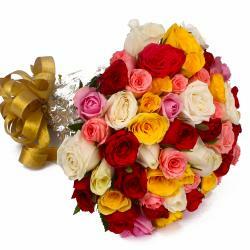 Product Consist : 35 Mix Color Roses with green fillers in Tissue Paper Wrapping with Ribbon Bow on it. 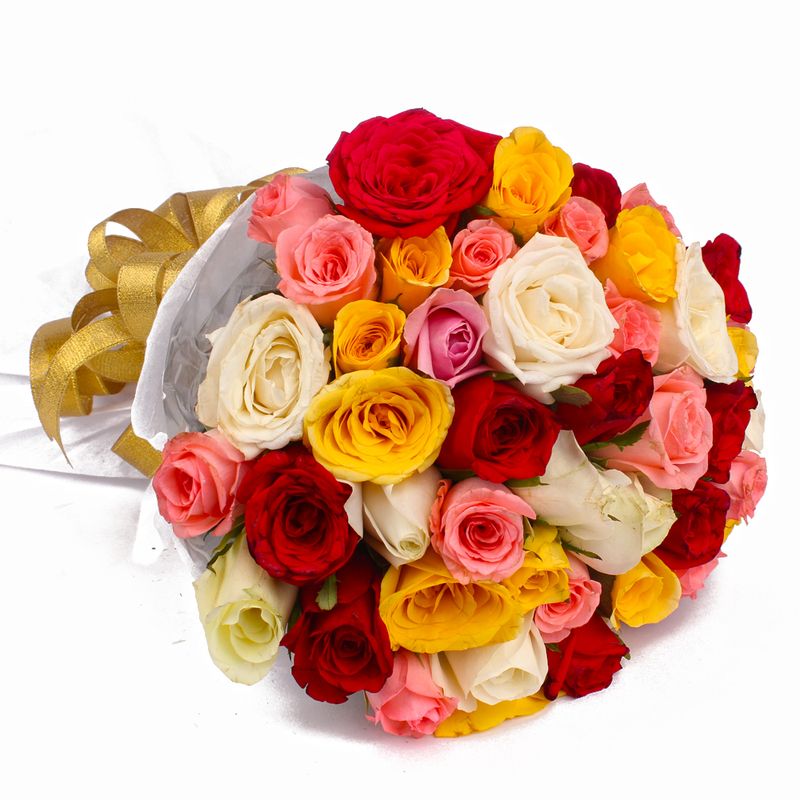 This bouquet of Roses includes red yellow pink and white color which are fresh and look stunning. 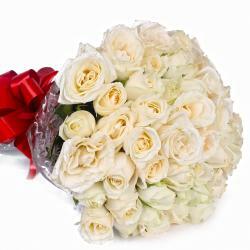 The flowers have been smartly put together in high end tissue paper packaging. 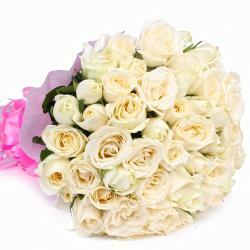 A matching ribbon has been tied around it in a bow to hold the flowers together and complete the look of the bouquet. 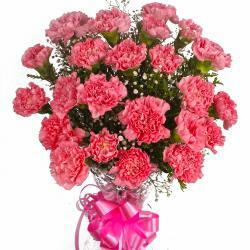 The flowers can also be sent for Birthday, Housewarming, Baby Shower, Baisakhi, Republic Day and other celebrations. 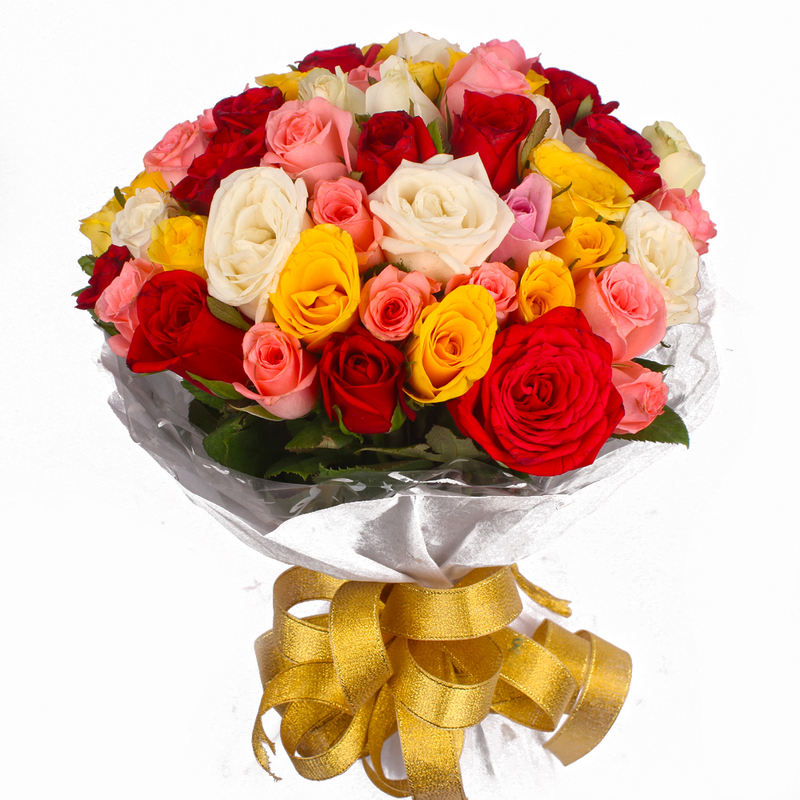 Surprise your beloved on your anniversary or his/her birthday with this bouquet of colorful roses Product contains : 35 Mix Color Roses with green fillers in Tissue Paper Wrapping with Ribbon Bow on it.